Friendly, professionally and always available hostel staff will be happy to arrange excursions to you and according to your wishes, along with professional tourist guides to get to know the natural and historical beauty of Bosnia and Herzegovina as much as possible. Mostar City Tour / Herzegovina Day Trip & War Tour / Yugoslavia Day Trip / Mostar city tour / Rafting on the river Neretva and many other excursions we are happy to organize for you. Discover the historical beauty of Blagaj and Počitelj, visit Medjugorje, and for all intact nature lovers there are waterfalls of Kravica, which will not leave anyone indifferent. Blagaj, an oasis of peace, which is attracting attention for its distinctive natural, cultural and historical heritage, with its fortress of Herceg Stjepan Kosača - Old Blagaj town, the former center of the medieval Land of Hum, later Herzegovina. 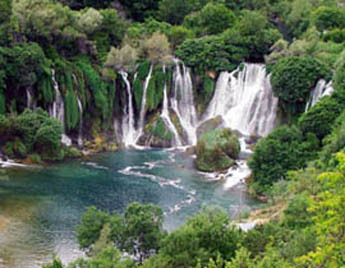 Kravica waterfalls are located 3 km downstream from Vitaljina in Studenci near Ljubuški. It was created by theTrebižat River. The fall height is 26 to 28 meters, with water amphitheatre below the falls of 120 meters. The most attractive and very significant city from the Middle Ages in the Neretva valley is Počitelj. 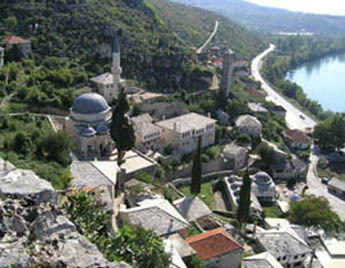 In 1471, the Turks occupied Počitelj. It is a town - museum of town planning and architecture, an open air museum. It is the capital of Bosnia and Herzegovina. It dominates since ages as one of the most beautiful cities, and also it can be said that it has beautiful historical monuments. 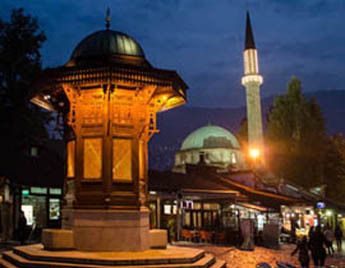 Sarajevo has started its urban development since XV century.